With the Sept. 13 University of Idaho Vandal Giving Day (VGD) approaching, alumni, donors and corporate partners have joined in to ensure the success of the university’s first online giving day challenge. Alumni ambassadors are lending their social media talents to ensure the giving day message is cast broadly — look for #vandalsgive on your social media channels — while corporate and foundation partners are sponsoring matching funds to help raise needed support in the area of scholarships and programs at U of I. Even the University of Idaho Foundation has gotten in the game: Once 500 donors pledge support during VGD, the Foundation will give $25,000 toward U of I’s General Scholarship Fund. It’s the generous support of our alumni and donors that make campaigns such as VGD possible. Alumni often take the lead in providing the financial support to ensure the success of our students. They also inspire others to give, through encouraging their employers to join us and help fund the transformational education we provide our students at U of I. Take for instance Philip “Flip” Kleffner and the leadership of Wells Fargo & Co. in Boise. Kleffner, a 2008 College of Business and Economics alumnus and vice president/business banking manager with Wells Fargo, along with company Regional Banking Region President Don Melendez, has provided a $25,000 match for VGD. 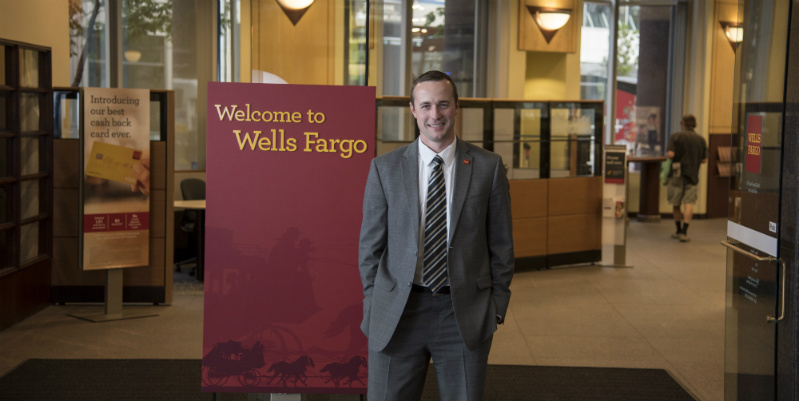 Once donors contribute $25,000 online, Wells Fargo will match that amount as a corporate gift to the university’s giving day efforts. In addition to being an advocate for the VGD, Kleffner is a lifelong Vandal who hails from a legacy of Vandals. His family knows first-hand how the university prepares tomorrow’s leaders. Kleffner’s great-grandparents are Vandals, as well as his grandfather, Flip Kleffner, who served as the executive director of the Alumni Association for 17 years. His parents, Matt and Marie, are also Vandals, and Matt’s previously worked as U of I’s senior associate athletic director. Kleffner recalls the countless hours he spent on campus during his childhood with his father and grandfather, as well as how attending U of I was a transformation experience. Like countless Vandal legacy families like the Kleffners, attending the University of Idaho had a significant impact on their lives.